In the thirteenth century, literature of the period treated battles and single combat quite differently. Mass battles are infrequently mentioned in great detail however the combat in the Arthurian romances and accounts of Tournaments are often recounted at great length. 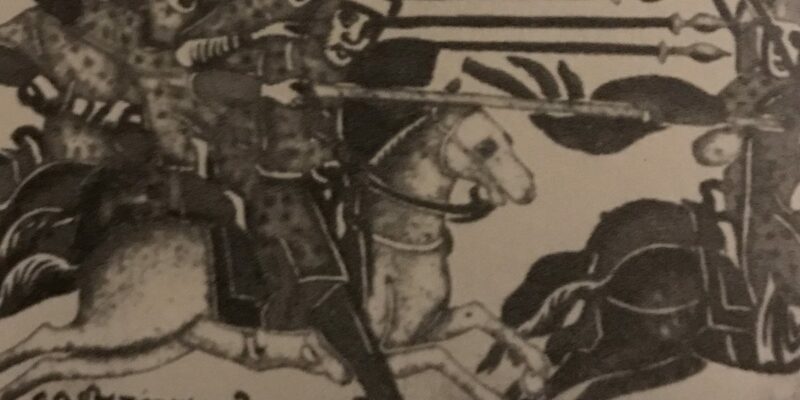 Authors and poets of the time carefully describe the styles of mounted combat. 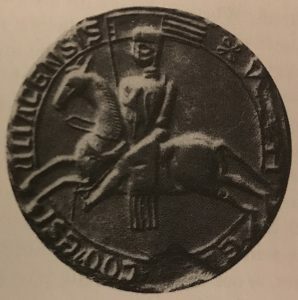 The charge with the “couched” lance that was held in the armpit and across the horse’s neck was a relatively new development that had come about with the use of massed cavalry and the introduction of the stirrup into Europe in the ninth century. The massed charge was the signal of the start of a tournament and required a great deal of skill to manage a horse, shield and lance whilst riding knee to knee with another rider. The sound of the encounters must have been tremendous! These were difficult a dangerous events where riders would be unseated and injured whilst loose horses were careering across the field, valets would try valiantly to capture them in order to return them to their knight or else be ransomed back to the owner. Great careers and fortunes were made in the tournaments especially, William Marshall who started out as a second son of a lowly knight and rose to become Regent of England. There was scandal at a Tournament held in England in September 1252 at Waltham Abbey, Essex. Mathew Paris writes in the Chronica Majora that when Roger of Leyburn targeted his lance at the neck of his opponent Ernaut de Montigny. His lance pierced the knights throat and he was killed. Later when the wound was examined the head of the lance was found to be sharp! The Tournament had proclaimed that only blunt lances were to be used. When the dust and the noise had died down and the knights had returned to their lodgings only then could the cost be counted. 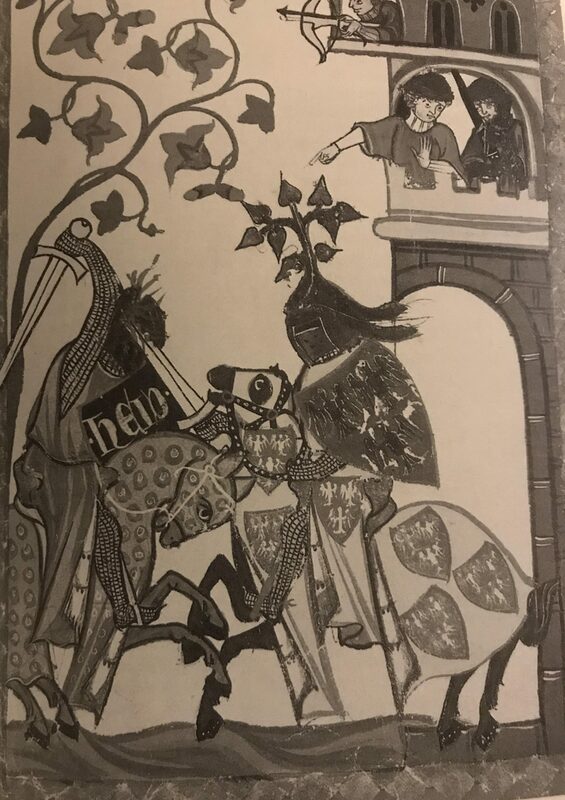 In future year’s rules and books would be written to regulate the Tournament but while there were fortunes to be won and lost, young knights would always be drawn to the courtesy and carnage that was the tournament.